For those who missed out on the recent Brunch Électronik Sunday sessions, don’t worry; Piknic Électronik is back for another summer season. 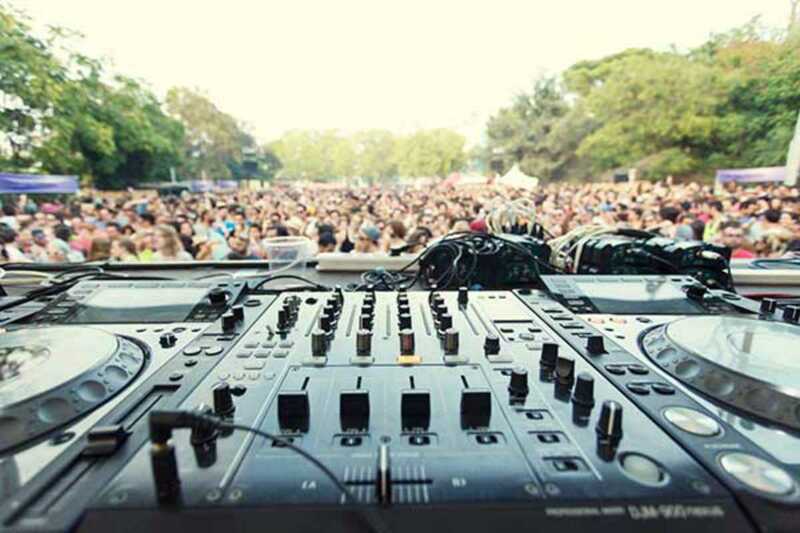 Now in its fourth year, Piknic Électronik will once again take place in the old amusement park at the Jardins de Joan Brossa on the side of Montjuïc. It will run for 13 consecutive Sundays from June 28th to September 30th. As you would expect, there’s a fine selection of house and techno DJs to supply the soundtrack, but the open-air culture of Piknic Électronik is equally important, and extra refinements have been prepared for this summer. Families with children are always welcome, and this year there’s a host of activities to keep the kids amused while the adults play, including waterslide and pool, raceway and assault course, climbing wall, giant games, trampolines and more. Other additions include a market area hosted by Two Market with products from Barcelona-based designers and creative entrepreneurs. The same space will also host local DJs on the Petit Piknic stage alongside street food served by some of the best food trucks in the city including the Social Fooding Project. Both markets and street food are increasingly popular in Barcelona, and this is reflected at Piknic Électronik, including discounted entry of just five euros for those who just want the Petit Piknic experience. Over in the main space, there’s a superb lineup of international and Barcelona-based DJs who will be taking the party through till 9pm. Robert Hood, Apollonia, Craig Richards and Claude VonStroke in July; Catz ‘N Dogz, Tiga, Derrick May and Midland in August… you get the picture with many more to be announced. Decisions, decisions, so why not buy a season pass currently available at €95.